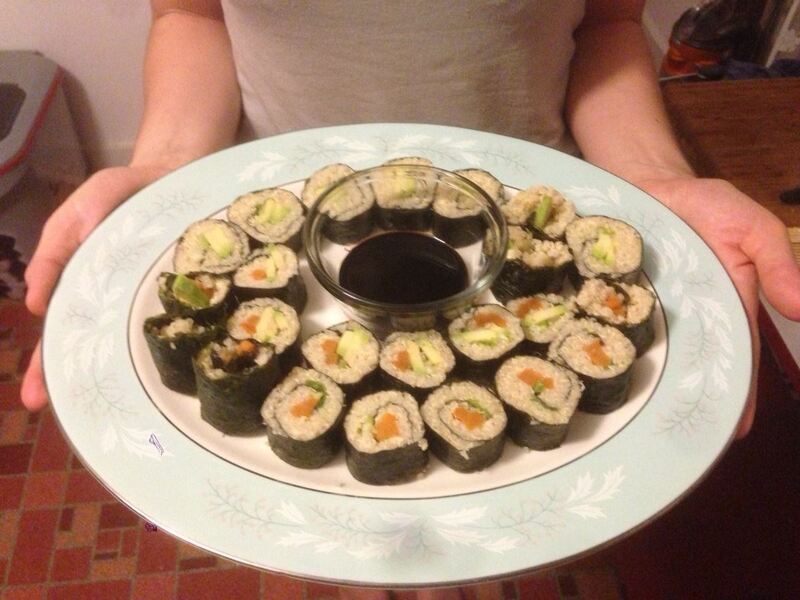 Scott and I made these quinoa maki last summer. Scott left his job at a great sushi restaurant last year and I don’t know if our love of sushi will ever be satiated again. These rolls are certainly better for us than the sugar-laden, white rice restaurant rolls, and they weren’t too hard to make. We mixed the cooked quinoa with a few tablespoons of rice vinegar and let it cool before we rolled them. This entry was posted on January 28, 2014 by Chef Jill in Nutrition and tagged Asian Cuisine, Gluten free, Quinoa, Vegan.